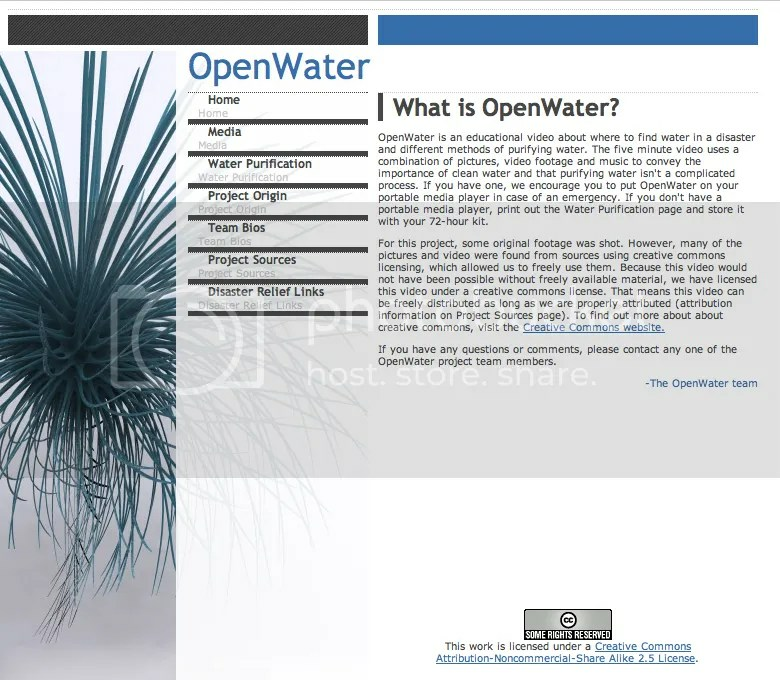 OpenWater is a project created by four University of Utah students. Their assignment was to remix open content learning materials to design a new learning experience. The group remixed pictures, video footage and music that was either creative-commons licensed or in the public domain. The assignment is great for a couple of reasons. First, it’s incredibly well-designed. Second, it gave these students a way to exercise those new literacy skills that Henry Jenkins and others have said are key to participation in a networked society. Third, this is a learning object created by students, not for students. Even though these are Instructional Design students (and very talented ones), I wonder how much content-creation we can hand over to learners.